Address 08: Auto HVAC (E87)       Labels:* Redir Fail! Address A5: Frt Sens. Drv. Assist (R242)       Labels:* Redir Fail! I was looking to see if there was a way to adapt or calibrate my level sensors, but I'm not finding anything that works. Under the chassis control module, you do see some things that look like they would calibrate them, but all the procedures fail to start. They also seem to probably be more tied into factory air suspension which of course the vehicle does not have. I was thinking that maybe my camera calibration could have something to do with this as that is the only thing I've seen that actually requests parameters for the height of the vehicle and you see those stored in the A5 module. The 74 module does have values for the height as well but they must be unused and when just trying to mess with them, I'm unable to change the values. 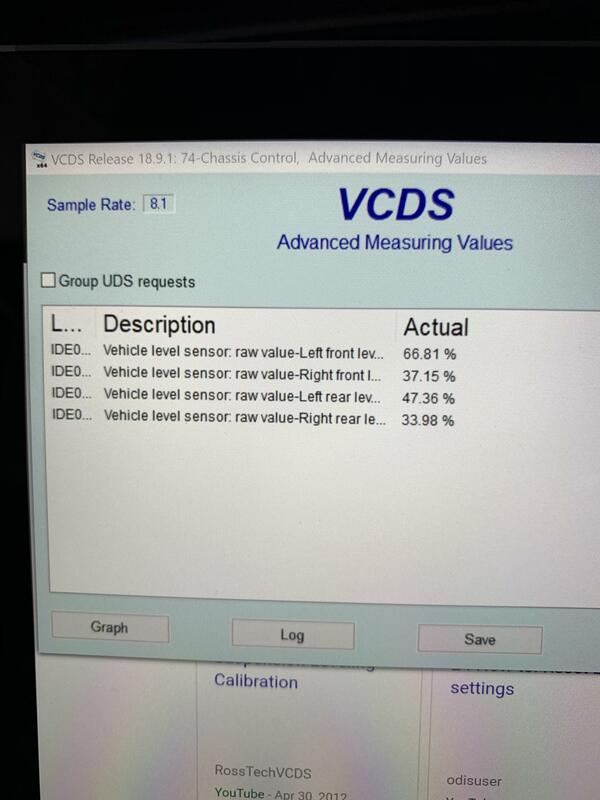 So I'm thinking there must be some form of way to calibrate the level sensors so it knows what drive level is, but I'm not finding anything in regards to that. Anyone have anything that they know of? What belongs in Product Support? But I think the right place to take this question is to whoever made the "deletes". I reached out to KW, because my suspension is not their product they refuse to help. Didn't consider this a retrofit as I was just looking for a calibration procedure of factory level sensors to "trick" them into thinking what the appropriate offset is for the level sensors. So I guess I was looking in more of a repair support. It's a retrofit in our view because you've removed factory parts and installed aftermarket stuff relevant to the system that's throwing the fault. 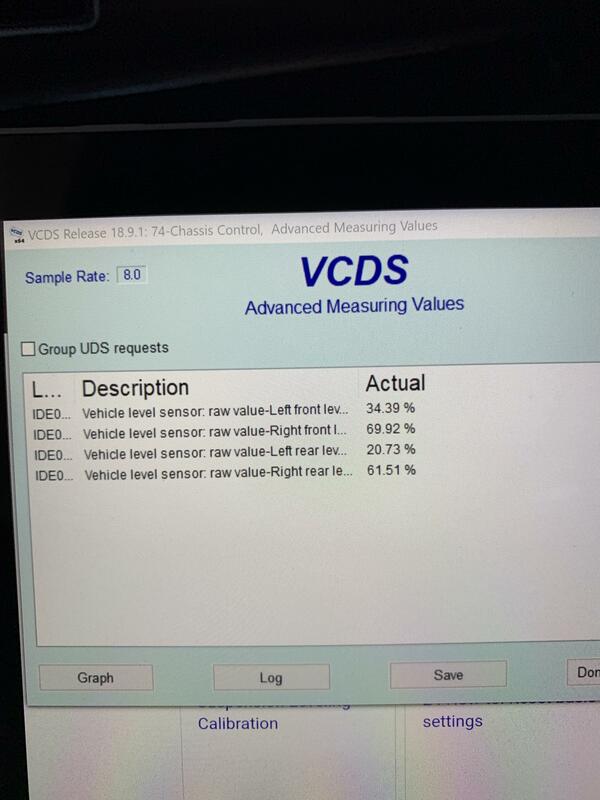 Does this car actually have four factory level sensors separate from the suspension parts you've removed? Gotcha. Yes there is a level sensor on all 4 corners that work in conjunction with the damping control I believe and headlights. I believe all cars equipped with EDC these days have 4 level sensors. 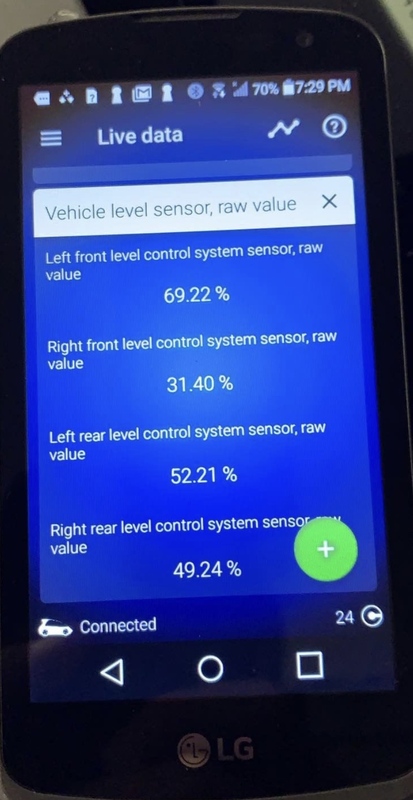 The error from research here and other places seems to be that the car thinks one of the 4 sensors are out of range for an extended period of time. If I'm on a continuously bumpy road (back dirt roads) the error will not throw. It's not till I get on a smoother surface and the sensors aren't moving around much that it will throw the error. It's almost about a minute or two in on my drive.